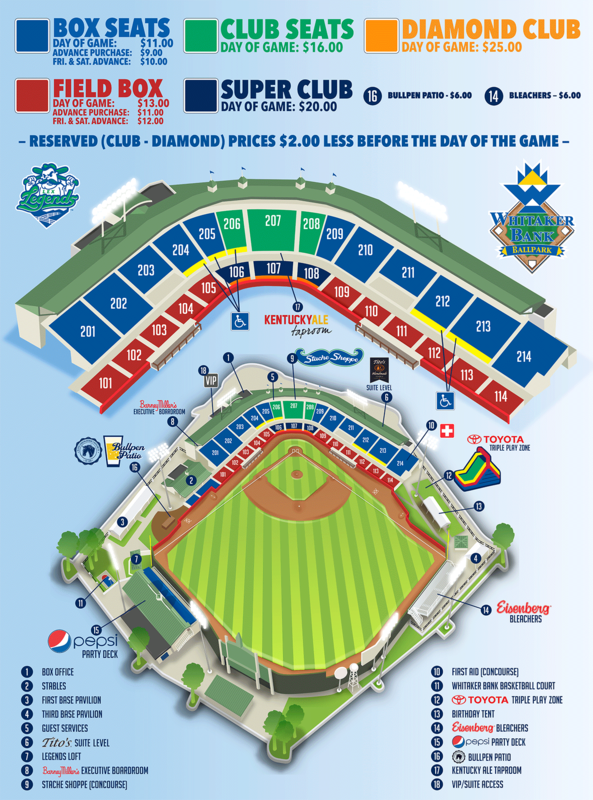 (WHITAKER BANK BALLPARK, Lexington, Ky.) Urgent Care Centers of Kentucky will team up with the Lexington Legends to offer free sports physical examinations at the Legends game Sunday, June 1 at Whitaker Bank Ballpark. Parents will need to bring their identification or state driver's license and should be prepared to fill out forms and provide medical history. 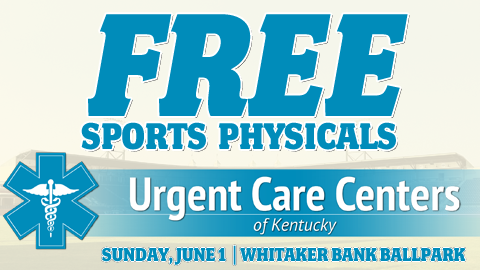 "The Legends and Urgent Care Centers of Kentucky are pleased to offer a convenient location and free sports physicals," said Sarah Bosso, the Legends director of community relations and special events. "We know how important participating in team activities is for the betterment of our youth, and we want to make sure everyone has that opportunity."